In the Preface Sen explicitly states that the theory of justice he seeks to advance "aims to clarify how we can proceed to address questions of enhancing justice and removing injustice, rather than to offer resolutions of questions about the nature of perfect justice" (ix). The issue of what we want a theory of justice to deliver is arguably one of the most interesting, and hotly debated, topics in the field today. Some obvious examples that immediately come to my mind are David Schmidtz's analogy between theories and maps in The Elements of Justice, Elizabeth Anderson's critique of luck egalitarianism, and G.A. Cohen's Rescuing Justice and Equality where he distinguishes principles of regulation from principles of justice and maintains that the latter are "fact-free". The contrast between Cohen's position and Sen's is very stark and worth considering. The vision of political philosophy Sen is invoking, at least in this early chapter of The Idea of Justice, is one primarily concerned with the question "How should be done?". Whereas for Cohen the primary concern of the philosopher is: "what we should think, even when what we should think makes no practical difference". I myself come down on the side of Sen on this issue. Those partial to Cohen's approach might maintain that we ought to privilege deliberating about perfect justice for it is only once we comprehend the ideal that we can properly undertake the practical task of trying to realize justice in the "real world". Sen notes that he will address this kind of challenge in Chapter 4, so I look forward to seeing how he addresses that concern. In the Introduction Sen elaborates on these two approaches to justice (the social contract framework and comparativist framework). The two traditions are characterized as two distinct strands of Enlightenment thought. The first tradition, led by contractarians like Hobbes, Locke, Rousseau and Kant, concentrates on identifying the just institutional arrangements for a society (what Sen calls "transcendental institutionalism" (TI)). This approach informs mainstream contemporary political philosophy and is most evident in the (at least earlier) work of John Rawls. TI concentrates on perfect justice and the institutions that would be realized in that perfectly just society. The second tradition, represented by such diverse thinkers as Adam Smith, Condorcet, Bentham, Wollstonecraft, Marx and Mill, is presented as the "realization-focused comparison" approach. Unlike TI's "arrangement-focused" approach to justice, the realization-focused approach prioritizes the social realization of advancing justice and removing injustice in real societies with their existing institutions. One of the problems Sen highlights with TI is the redundancy of the search for a transcendental solution. He provides the example of deciding which is the best picture between a Picasso and a Dali. Suppose someone comes along and tells us that your decision could be made easier if you only realized that the Mona Lisa was the "ideal picture". Would this transcendental insight really help you decide between the Piacasso and the Dali? Sen claims it would not. His reasons for claiming this are not fully explained, he briefly addresses it in a paragraph on p. 16. I think it might be interesting to discuss this example in greater detail. Perhaps we can do that in the comments section. Hopefully Sen will return to this point in greater detail in future chapters, and provide some specific examples of actual TI accounts of justice that fail to help us address comparative judgements. I myself think there are plenty of examples that support Sen's point (and I have tried to make a similar case against them in my recent book, though I think the problem is that we have been too obsessed with deriving the principles of justice). Perhaps the greatest challenge in making a general critique of diverse normative theories of justice is that it is difficult to sustain that critique without overlooking all the subtle nuances that advocates of such theories typically make. I suspect the defenders of Nozick and Rawls, for example, will be more than happy to point out that the normative prescriptions of their theory can help us redress injustice in the real world. For Nozickians, justice requires us to fulfil the requirements of the entitlement theory of justice. So for libertarians, justice would be served in the real world if we instituted a minimal government that did not infringe on the right to self-ownership. And Rawlsians can point to violations of the difference principle and fair equality of opportunity as injustices that should be redressed. As I noted above, the real challenge I think Sen has to meet, to fend off the proponents of TI, is to show why you cannot just begin with TI and then move to a realization-focused approach once you have your transcendental account in hand. As Sen notes on p. 9, the starting point of a theory of justice is crucial. If the starting point is motivated by concerns of *intellectual* interest- e.g. would parties in the original position choose the two principles of justice over the principle of utility?- versus concerns of *practical* interest - e.g. what capabilities do people in the real world today have, and what kinds of factors (e.g. risks of infectious disease) influence and limit these capabilities- then the conclusions of one's theory of justice will be very different. Luck egalitarians, for example, have ended up endorsing conclusions like "Justice requires us to support able-bodied surfers who are unwilling to work" (Van Parijs) and "Compensation is owed to those who are incurably bored by inexpensive hobbies and can only get fulfilling recreation from expensive diversions" (Cohen). So one's starting point is crucial. There are an endless number of questions we could spend our time pondering and trying to answer. We must be selective and prioritize some questions over others. And our take on that selection process will be determined by the view we take on what we want from a theory of justice in the first place (e.g. an account of practical reason). I anticipate that Sen's project will ruffle a few philosophers' feathers (especially Cohenians, but also Rawlsians as they will probably consider themselves as pretty "realization-focused" when compared to the Cohenians!) in that it will be interpreted as a provocation to a turf war and one that many academics will resent as it places philosophy at the service of humanity (something we debated here on this blog a while back). 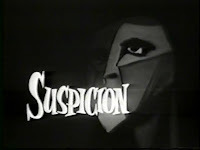 The project Sen is asking us to undertake is one that requires us to (a) develop an understanding of the plight of the vulnerable in the world today, (b) be interdisciplinary and global in our thinking about justice, and (c) balance (a) and (b) with the demand for a philosophical theory that is both lucid and rigorous. It will be interesting to see how his project is received by political philosophers. I agree with Sen that a theory of justice ought to, first and foremost, serve as a basis for practical reasoning. At various stages in the Preface and Introduction Sen invokes historical figures that were engaged in the project of abolishing the injustices of their day- like the Parisians who stormed the Bastille, Gandhi and Martin Luther King. And Sen believes that political philosophers should also be involved in this project. Unfortunately a discussion of what would enhance justice in general is regarded as ‘loose talk' by TIs who claim "we need a sovereign state to apply the principles of justice through the choice of a perfect set of institutions" (25). Sen's target here is Nagel, but there is a vast literature on global justice and I suspect it will be difficult to characterize a significant range of those theories under the description of TI. But we will see how that pans out in future chapters (especially 17 and 18). So this introductory chapter provides an overview of the topics that will follow in greater detail. As such I thought it prudent to offer a few general reflections of the overall approach Sen is asking us to consider. I think it is an interesting and important one. I am eager to see how Sen develops his arguments. He invokes some novel sources (like the classical Sanskrit distinction between niti and nyaya), frames his project as a version of a comparativist Enlightenment project that invokes social choice theory and the capabilities approach he is well known for advancing, and aspires to deliver a practical normative theory that can help us focus on the injustices that exist in the world today. It is an ambitious and exciting project. 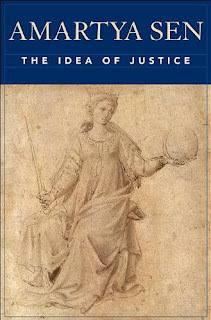 And I can't think of anyone better qualified to undertake such a project than Sen.
For the next couple of weeks I will be participating in an online reading group over at the Public Reason blog on Sen's new book The Idea of Justice. I am slated to do the first post on the Introduction, which I will post on Monday (and have been working on all week). I will also post my entry here, along with additional thoughts and comments. Recall that back in 2007 I posted Sen's talk at Oxford. I am really looking forward to reading this book. The National Science Foundation has an interesting report entitled Science and Engineering Indicators 2010 here. -Americans’ factual knowledge about science is positively related to their formal education level, income level, the number of science and math courses they have taken, and their verbal ability. 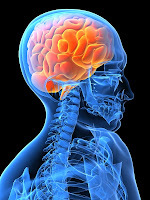 -In 2008, 68% of Americans said that the benefits of scientific research have strongly outweighed the harmful results, and only 10% said harmful results slightly or strongly outweighed the benefits. - In 2008, 84% of Americans expressed support for government funding of basic research. - More than one-third of Americans (38%) said in 2008 that the government spends too little on scientific research and 11% said the government spends too much. Other kinds of federal spending such as health care and education generate stronger public support. executives, and religious and political leaders ranked near the bottom in both countries. In assessing public knowledge and attitudes concerning S&T, two kinds of standards for judgment are possible. One standard involves comparing a country’s knowledge and attitudes with those recorded in the past or in other countries. The second standard involves assessing what a technologically advanced society requires (either today or in the future) to compete in the world economy and enable its citizens to better take advantage of scientific progress in their own lives. is as or more favorable than in the past. In addition, the prestige of the engineering profession grew in the last year. When the data are examined using other countries as a benchmark, the United States compares favorably. Compared with adult residents of other developed countries, Americans appear to know as much or more about science, and they express as much or more optimism about technology. By the second standard, trend data show that significant minorities of Americans cannot answer relatively simple knowledge questions about S&T, they express basic misconceptions about emerging technologies such as biotechnology and nanotechnology... Sizable parts of the population express reservations about how the speed of technological change affects our way of life or the use of animals in medical research. While we all chronically age at the same rate (i.e. one year every 12 months) we do not biologically age at the same rate. And this means some people have higher risks of morbidity and mortality than others. This study in the latest issue of Nature Genetics has found that a genetic variant is linked to faster biological aging. ...The odds of carrying the variant are relatively high, Samani says. "In the populations we studied, about 7 percent of people carried two copies of the variant and about 38 percent of people [carried] one copy." But it's unknown whether shorter telomeres make their carriers physically appear older than they really are. "We haven't looked at that—it's an interesting question," he says; pondering how to measure the age someone looks in a follow-up study. Maybe we'll take pictures of the participants and a have a panel guess their age," he adds jokingly. Samani, a cardiologist and professor of cardiology, is more interested in whether people carrying the variant are at a higher risk for developing age-associated illnesses like heart disease. 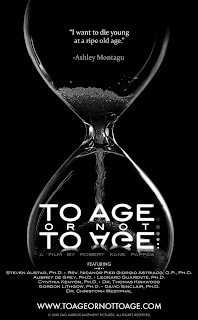 On Thursday a new documentary entitled "To Age or Not to Age" will premiere. Viewing the trailer, and reading some info about the film suggests this might have the real potential to awaken humanity from its dire neglect of the fact that aging is the leading cause of death and disease in the world today and that the science has reached a tipping point where we can envision a future where late-life morbidity and mortality can be dramatically reduced. As I have noted many times before on this blog, I believe that global aging is the real challenge of our times. Hopefully this documentary will help capture the imagination of the general public and help convince them that aging research is one of the most important areas of scientific research. The point Guarente makes at the beginning of the video, that when someone hears an intervention is "anti-aging" they automatically think about the fact that people will live longer rather than the fact that disease has been delayed, is the focus of my forthcoming paper in Biogerontology. Be sure to checkout the panel discussion that will be streamed live on Thursday evening. Details here. 'Social value orientation' characterizes individual differences in anchoring attitudes toward the division of resources. Here, by contrasting people with prosocial and individualistic orientations using functional magnetic resonance imaging, we demonstrate that degree of inequity aversion in prosocials is predictable from amygdala activity and unaffected by cognitive load. This result suggests that automatic emotional processing in the amygdala lies at the core of prosocial value orientation. Understanding what underpins the different moral intuitions people have about the division of resources is a fascinating issue and political philosophers should follow these developments closely and with great interest. Dan Rader doesn't have high cholesterol. Nor does he have a family history of premature heart disease. But when Rader, who leads the University of Pennsylvania's Preventive Cardiovascular Medicine and Lipid Clinic, turned 50 last year, he started taking statins—just in case. “I figured the way to try to reduce the risk of coronary disease at 80 is to start taking your statins at 50,” he explains in between spoonfuls of low-fat black bean soup at the café in his research building. Rader admits that he is liberal about prescribing statins to his patients, too. “Statins aren't just for people with obviously high LDL,” he says, referring to levels of the low-density lipoprotein molecule, which indicate dangerous cholesterol levels. An estimated 20 million Americans, and millions more worldwide, take statins, and the drugs may soon become even more popular. 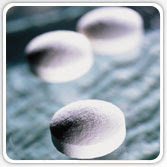 When the full patent for Pfizer's drug Lipitor (atorvastatin) expires in June 2011, the price could drop by 75%, from $3 to $1 a day. Currently the highest grossing drug in the world, Lipitor rakes in more than $1 billion a month in sales, and Pfizer has no other known cholesterol-lowering drugs in its pipeline after having pulled an experimental compound out of clinical trials in 2006 after it increased the risk of death. There are also rumblings that the US National Cholesterol Education Program's (NCEP) Adult Treatment Panel 4 guidelines, expected later this year, will recommend more widespread statin treatment for both high- and low-risk patients. “Let's put it this way: no one thinks the goals should get less aggressive,” says Rader, who is on the NCEP panel. 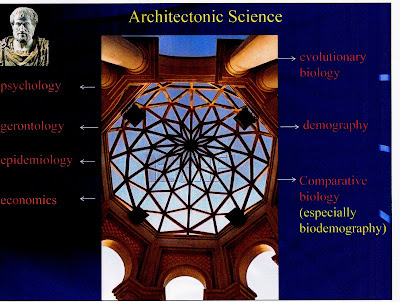 In this post I hope to convince my fellow political theorists that we should expand our purview and aspire to help narrow the gap between the natural and social sciences. If we are tackling these issues in our research, then, hopefully, we are also engaging our students and society-at-large to consider the impact knowledge and science has on the life prospects of humans today and in the future. And I believe that is vital. Unfortunately my sense of the current state-of-affairs, having now worked at 6 different universities over the past decade in Scotland, England and Canada, is that our undergraduate students finish University thinking that justice is primarily about the re-distribution of "goods" (typically money), and has nothing to do with the advancement of knowledge and innovation. And I believe this undermines the skill-set political theorists ought to develop (recall this post). Given that there is no existing literature or debate in contemporary political theory on aging, I have had to give a lot of thought to some methodological issues-- what is political theory? What is it I am trying to accomplish in my research? What are the fundamental questions I am trying to answer? etc. Looking for an "anchor" to help ground my project, I have turned to the Ancient vision of politics for inspiration. I am most inspired by "the master"- Aristotle- who was the first political scientist. Politics, argued Aristotle, is a normative, prescriptive science. And politics is the most authoritative of all the sciences as it is concerned with the good of humans. Politics “ordains which of the sciences should be studied in the state, and which each class of citizen should learn and up to what point they should learn them” (NE 1.1.1094). Aristotle inspires me. And I believe we have lost or forgotten this ancient vision of the discipline of politics. The professionalization of the discipline has brought inward specialization and created a climate that runs counter to Aristotle's vision of the discipline. My research on aging and longevity science is an attempt to revive this ancient conception of the discipline (as is my interest in play and happiness, the other thread of my current research). Aristotle believed that the student of politics ought to concern themselves with the question of what preserves and destroys a polis. And as any good student of Aristotle knows, the context matters. What threatened the health and economic prospects of Athenians over 2000 years ago is different from what threatens the aging populations of today. The image above captures the spirit of what I take my project to be. I seek to draw on the insights of different fields of scientific inquiry- like demography, epidemiology, comparative biology, and evolutionary biology- to make the case for investing more public funding, and scientific expertise, towards the goal of modifying the biological clocks we have inherited from our evolutionary history. My approach runs counter to the trend of "ideal theory" in political theory. Ideal theory ignores the empirical complexities of real life- like the fact that people develop disease and die, that health care costs rise as we age or that our species has an evolutionary history. Instead such idealized theories are guilty of perpetuating what I have called the myth of "Homo Primaeva". This is a sad state of affairs. Determining what the requirements of good governance are in the 21st century cannot be derived from the "moral intuitions" we might have about what is just or unjust in idealized, abstract hypothetical scenarios. Reviving the Ancient conception of politics and political theory might help our students develop the skill set needed to meet the most pressing challenges their generation will face this century. ...Before The Lancet article, the vaccination rate for MMR – the three-in-one shot for measles, mumps and rubella – had reached 91 per cent. A few years later, the rate had slipped to less than 50 per cent in some parts of London, and was far too low to prevent serious outbreaks. In 2008, measles was again declared endemic in the U.K. ....The Lancet article is said by some to have done more damage than anything published in a scientific journal in living memory. It came at a time when respect for expertise and medical authority (as for all authority) is on the wane, and when fears about the toxins around us are on the rise. It shows that science is no match for superstition, especially in an age when conspiracy-minded people can band together and stoke one another's paranoia on the Web. That paranoia has spread to millions. Vaccines to wipe out deadly childhood diseases are among the greatest triumphs of public health. But a sizable number of parents I know wonder if they're really safe. A study in the Feb. 1 issue of the journal SLEEP suggests that healthy older adults without sleep disorders can expect to have a reduced "sleep need" and to be less sleepy during the day than healthy young adults.